Bananas in pyjamas, faceless dolls and whirling willies – some of the wildest and most imaginative ideas have originated from Australian children’s TV. World Creativity and Innovation Week is approaching this April. This week presents an opportunity to acknowledge the vital contribution of children’s content to Australia’s creative output and understand the immense cultural value it brings to our nation. Russel Howcroft, PwC chief creative officer and chair of the Australian Film Television and Radio School says, “creativity is not a soft word” or a term to be underestimated. “Creativity matters socially – for our education, well-being and the cohesion of our community – and it matters culturally, to help define who we are and how we share our story with the world,” he says. Particularly for children, innovative and inventive programming can help to shape a cultural mindset, securing the future of creativity for generations. Children’s television is colourful, flamboyant and fun by nature, and in many areas this sector facilitates the perfect environment for creators to let their imagination soar. Here are just a few of the ways in which Australian children’s television enables creativity. 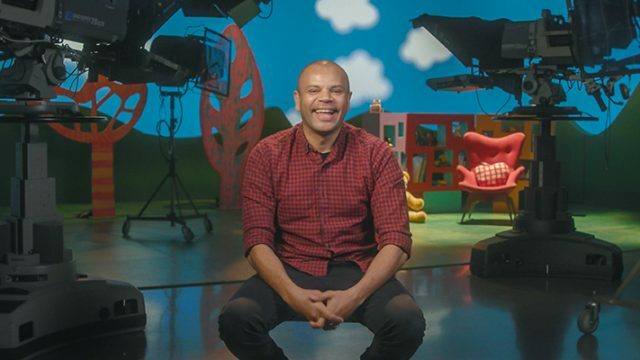 In order to create stories that are relatable, valuable and exciting for children, television creatives often channel a child’s mindset to present the world as a young person understands it. When voice acting for Australia’s first Indigenous animated series, Little J and Big Cuz, Deborah Mailman drew upon her own experience of childhood to bring to life her nine-year old character, Big Cuz. “When you’re in that mindset of a little kid seeing something for the first time, the world is big. These kids [in Little J and Big Cuz] are discovering things about themselves, about the world – and about each other,” she says. For Guardian writer, Cameron Williams, Little Lunch is the ‘perfect’ recreation of the “‘kid logic’ headspace”. 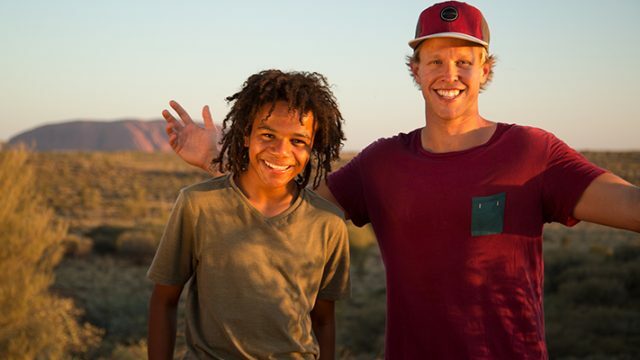 “The doco style [of Little Lunch] leverages the energetic way kids tell stories, to make the simplest things sound way more exciting than they really are – and it’s a fun world to be caught in. “Each episode feels like a legendary tale from a playground somewhere: It’s hard not to get sucked back into your own memories of grade six, when anyone could be a king for a day on a handball court,” he says. 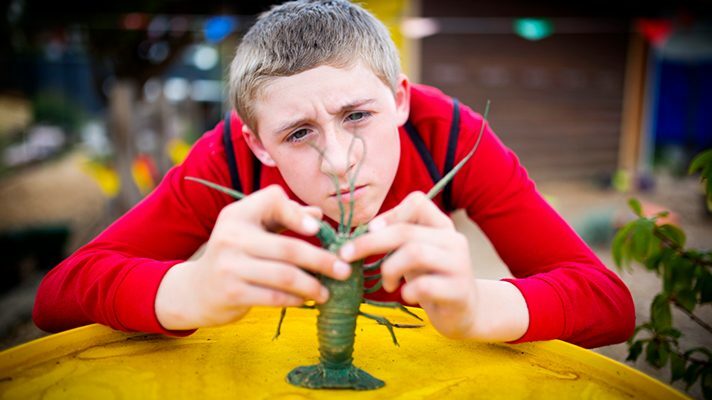 Even shows as surreal as Round The Twist draw upon real-life experiences of childhood. In-between the zany adventures of the Twist family, characters discover new relationships, deal with bullying and explore their identities. In an interview, Mark Mitchell (who plays Mr. Gribble) says it’s the balance of fantasy and reality that drives Round The Twist’s success. “The beauty of the show is it was installed in the affection of viewers because it was about them and their world, it presented things they recognised and it was funny with sufficient fantasy, and we tried to reawaken in adults the memory of childhood”, he says. Children’s television presents the unique ability to create a common space within the adult and child psyche. The content in kids’ programming can explore a child’s present, while at the same time draw upon an adult’s past. What results is a collective memory of childhood that spans across generations. It takes a great deal of creative insight to make that happen. “Children’s television producers are passionate about their work and appear to nurture a strong sense of its cultural and social significance. For many producers, providing quality educational, informative and inspirational content for children is creative and personal passion. The children’s sector presents an opportunity for creatives to ‘future-proof’ their work. This is because the audience grows alongside the content. In many cases, a child cherishes the program in their youth, carries it through their teen years and reflects upon it fondly as an adult. A poignant example of this is Dance Academy, a passion-project-turned-global-hit for producers Joanna Werner and Samantha Strauss. Werner and Strauss both grew up in small country towns. In Jo’s case, her hometown consisted of no more than 300 people. Both women grew up dancing from a young age, knowing that one day they would create a story about their experiences of the world of dance. Realising their similarities, the duo came together to create Dance Academy. 65 episodes and one movie later, the teen drama is now one of Australia’s biggest children’s TV series and truly a global success. A passion project from the beginning, Werner and Strauss spent years working on the concept during their weekends before they launched the series to success. 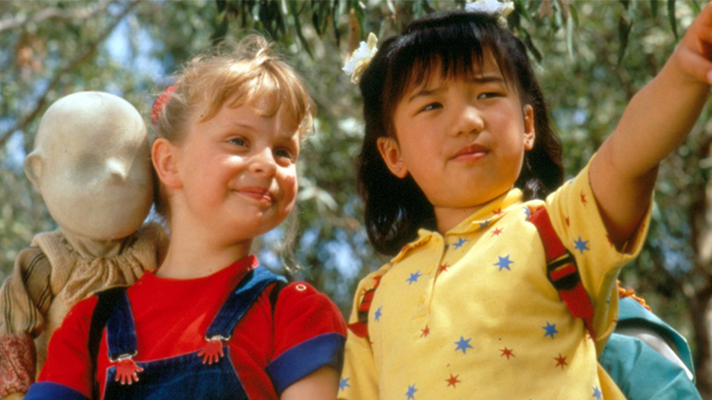 In an interview with the ACTF, Werner says the pair wanted to make something that they would have loved when they were in primary and high school. “It was an absolute passion of ours to make Dance Academy. We wanted to create something that was about real teenagers struggling hard to achieve their dreams. We made something that we knew we would love, and it just so happened that other people loved it too. The success of Dance Academy goes to show that if you’re really passionate about something, you can make it happen,” she says. Close to a decade since its release, the series’ success continues to reverberate globally. Thanks to the shared creative vision of Werner and Strauss, children from more than 160 territories around the world have grown up with Dance Academy by their side. Children’s television offers the exciting ability to let imagination run wild. 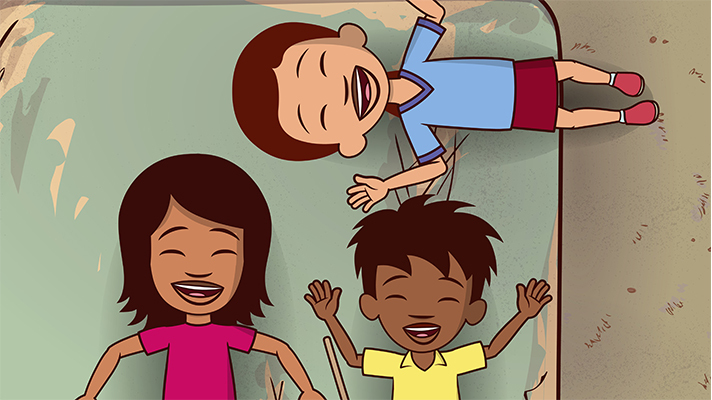 Content creators are encouraged to stretch their imagination to create bright, colourful and fun series that are also nourishing and educational. 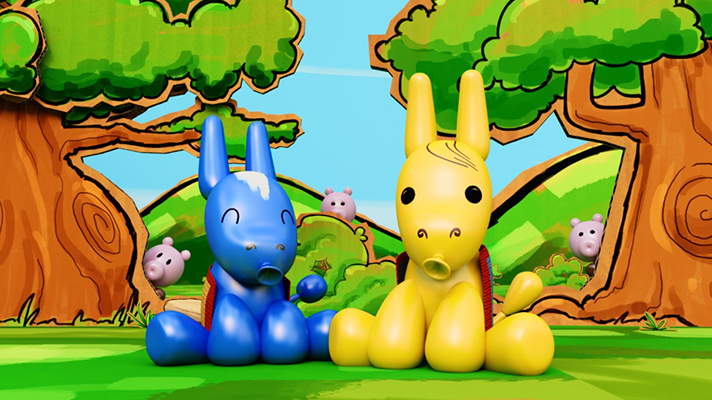 Brisbane mums-turned-producers, Nadine Bates and Kristen Souvlis (Like A Photon) let their minds wander to create the inventive series Balloon Barnyard, an animated series about Pip and Streak, two larger-than-life balloon donkeys who find adventures on a farm. 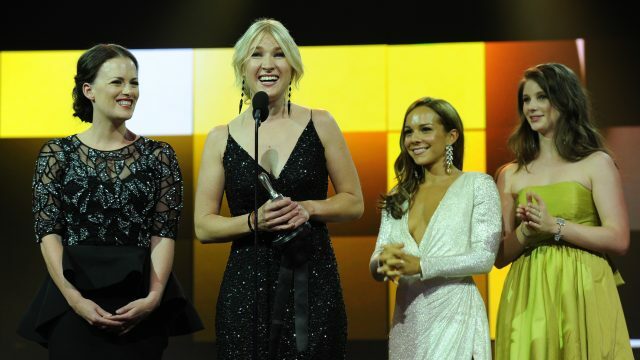 In an interview with the Courier Mail, Bates recalls driving with her two young sons when she saw donkeys in a paddock with the word ‘rescue’ on their blankets. Later pitching to Souvlis, Bates posed the question: “What if a pair of donkeys thought they were superheroes because they had ‘rescue’ written on their blankets?”. To which Souvlis replied: “What if they were balloons?”. The duo agreed on the concept and ran with the idea. Three years on, Balloon Barnyard is now the second highest rated show on Disney Australia. The series is also accompanied by an app for pre-schoolers to help them to learn how to read. Lift Off! is another series recognised for its creative and original approach. 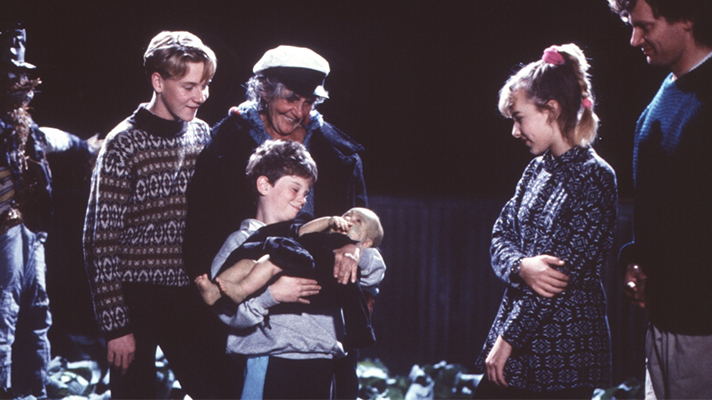 It was one of Australia’s first children’s series which integrated live-action with animation and puppetry. Modelled on educational research by a Harvard University development psychologist, the series was designed specifically for creative thinking and play. In a throwback video for the ABC, former Lift Off! actor, Luke Carrol says characters such as EC created a ‘beautiful fantasy world’ that encouraged children to imagine and dream. “The idea [of Lift Off!] was to create a show that would be all about engaging kids in different ways. “Looking back on it, it was very, very clever and ahead of its time. “Education at such a young age is so important – and children’s television plays a big part in that”, he says. Today, technology has ramped up the scope for creativity in genre and style. Thanks to developments in filming technique and technology, audiences can now outrun a tornado with the Nowhere Boys, swim with Mako Mermaids or fly with the fairies at The Bureau of Magical Things. No matter how fantastic the concept, Australian children’s television has the proven ability to bring it to life.